A few years back I wrote an article about how to keep your own “small plates” and why it is important. I even started posting excerpts of my own “small plates” that I deemed appropriate for the public to offer suggestions and ideas on possible applications of the principle. 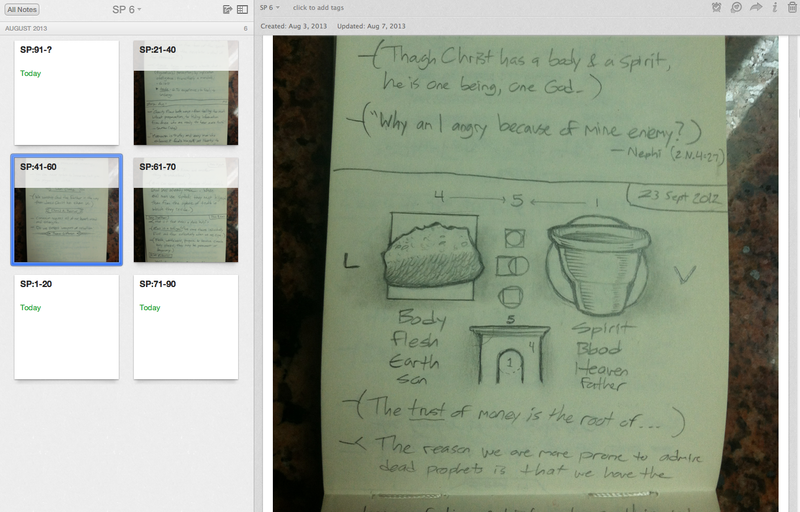 Typically, I keep my personal history journal in another place like Evernote (I’ll come back to this later) while that which I deem “most precious” for my “small plates” constitutes preaching, revelation or prophecy that comes through the Holy Spirit. This one has been pretty tricky for me to deal with over time. We have the amazing gift of digital technology that allows us to store and search massive amounts of information and we see the church using it very creatively. I’ve always liked the idea of having a digital copy and a hard copy but achieving this has been tricky since it is a huge pain to record the same thing twice; it’s just not practical. So I found a solution that is almost as cool as the Joseph Smith Papers project. Here we see the value of preserving the handwritten text as well as a digital copy of the text which makes it easy for search engines to find information instead of trying to search entire documents by hand looking for a particular piece of information. Any way of recording has its pros and cons. Keeping a wholly digital journal with no physical backup leaves you at the mercy of technology for maintaining your information. As someone who has worked first-hand in building journaling technology, I can tell you that perhaps the worst way to keep any kind of record is on a Word document on your hard drive. If your hard drive melts down it’s gone for good. Using journaling apps or websites leaves you at the mercy of companies who maintain the technology. A physical book can be lost or destroyed easily as well, but it is not at the mercy of electricity to survive. Over the years, I have modified my approach to record-keeping, especially as technology has changed. I believe a hybrid approach seems to be the most reasonable and I’ll share with you what I’ve been using lately. I don’t think I’ll ever get away from a tangible notebook. I find great enjoyment in not only writing in my chicken scratch handwriting but also in sketching out and illustrating concepts and ideas. I feel a bit of safety in knowing that I can take, read and pass down these notebooks without any technological restrictions. A digital copy has been now been created of my entire notebook. This is great because no matter what happens, I have the whole thing backed up to my phone, my computer and the online Evernote database; that’s four copies by the way! Here’s where it gets awesome. 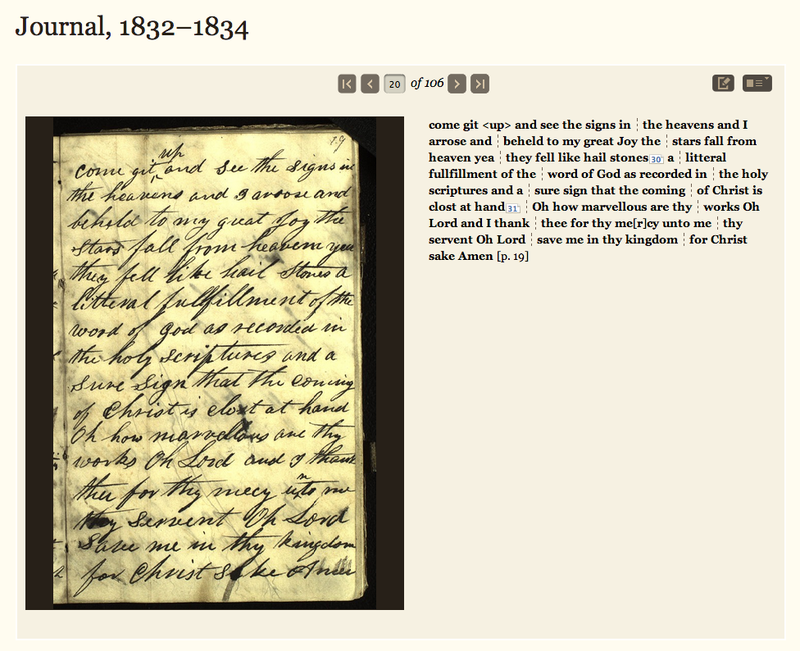 With the Joseph Smith Papers, you can search the text-based versions of the journals so how do you do that with these pictures? Easy. 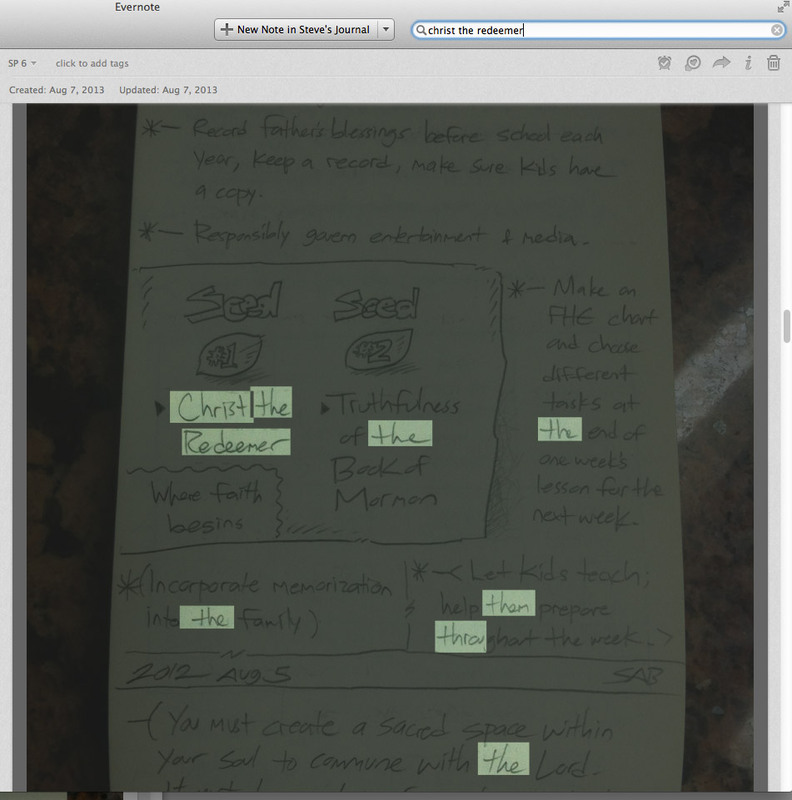 Evernote can search and recognize your handwriting. Yes, it’s amazing. I’m sure the text recognition software will only improve in the future. I’m pretty blown away at how well it recognizes my horrible handwriting. In this way, I feel like the content of my Small Plates can be preserved and passed from generation to generation. Whatever new technologies help in this endeavor, I will be sure to mention here at oneClimbs as time goes on. As mentioned previously, the only thing that goes in my Small Plates are preaching, revelation or prophecy that comes to or through me via the Holy Spirit. If you are unfamiliar with this practice. Richard G. Scott does this and speaks about it quite often in General Conference; the first part of this article has some of his quotes and a few by others. Typically, I start from the front of the journal in recording. Any answers to prayers, revelation, visions or prophecy I will typically put in the back of the notebook for convenience. I’ll then usually leave an extra page or two for an index. I hand number each of my pages in my notebook and then when something particularly significant to me is recorded, I’ll jot the page number in the back and make a short notation concerning it so that I can easily find it again. And just for the record, I’ve experimented with a vertical notebook like the one you see here for the past 2 years and honestly I prefer the traditional style notebook with the pages to the left and right. I’m going to be purchasing a replacement here soon because this one has only 3 pages left and I don’t want to be caught without one! Why does God command us to record? The Old Testament has the word “record” 10 times, the New Testament 19 times and the Book of Mormon 174 times. Now ponder and listen for the voice of the Spirit for potential applications that you can implement in your life to begin receiving the blessings predicated upon your faithful keeping of this practice. The Spirit may guide you to do things much differently that I have suggested in this article. That’s perfectly fine, this is my own unique way that is constantly evolving. Take from it the good that the Spirit suggests and feel free to reject the rest. Do you keep your own “small plates”? If so, how long have you done it and what insights have you discovered? What techniques have you found for applying these principles? Thanks for sharing! I’ve done a little bit of the reverse–I went through all my old handwritten journals and pulled out the “small plates” stuff and put it on a private (accessible only by me) blog. Then I can print the blog and have both the digital and hard copies. What I love about the blog is I can tag entries (temple, genealogy, whatever), and add in photos to illustrate the experience/concept, go back and revise, search, and so on. I should probably print it out more often than I do, but I’ve also enjoyed the draft feature where I can work on posts and thoughts and revise them or save for later. A blog is a good way to store stuff as well. 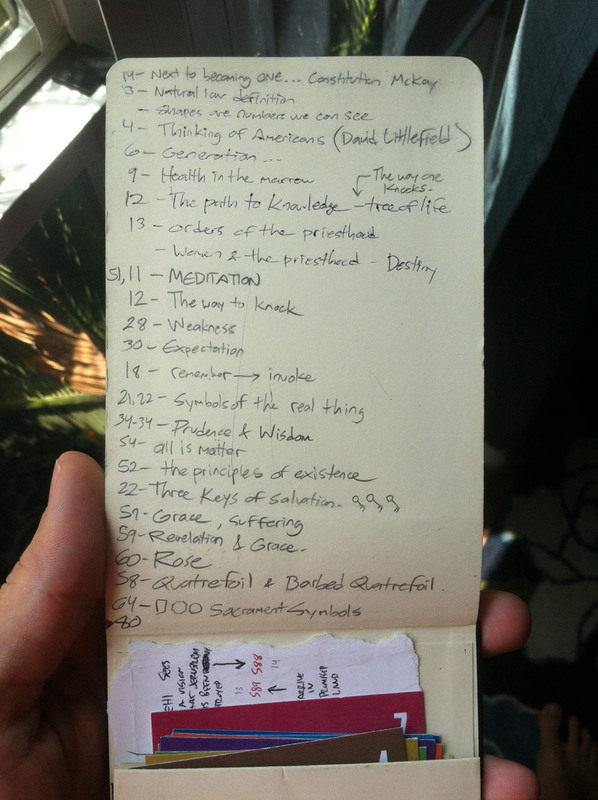 This blog essentially is another part of my “journaling” as well. You can use services like Blurb and others to import your blog and print it into a physical book too.